Today was a long practice. We managed to block Hamlet in the morning and then do a complete run-through from the beginning to the end of our blocked scenes. And it is true. 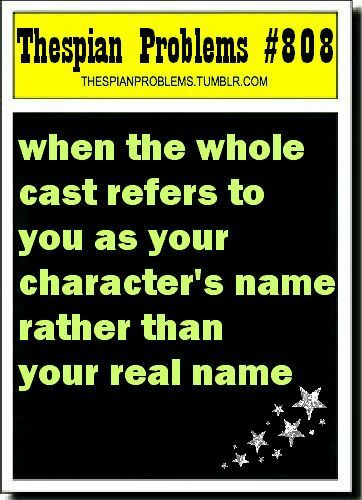 Our actors are now referred to by a number of strange names, none of them necessarily their own. We even called for Benvolio, Romeo’s best bud, to assist in the demise of Hamlet’s friends’ Rosencrantz and Liam (who also goes by Guildenstern). It can all be rather confusing, but definitely not boring.